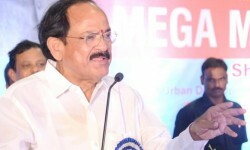 Urban Development Minister Venkaiah Naidu released the third list of smart cities. The new list carries 27 names from 12 states. 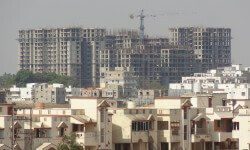 Naidu said 27 of the 63 participating cities qualified for this financial year. 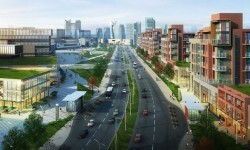 The smart cities list includes five cities from Maharashtra, four each from Tamil Nadu and Karnataka, three from Uttar Pradesh, two each from Punjab, Rajasthan and Madhya Pradesh, and one each from Andhra Pradesh, Odisha, Gujarat, Nagaland and Sikkim. The next round of competition to select the remaining 40 cities would begin in January next year. In an effort to preserve the eco-system of the Aravallis, a government panel has approved that all non-cultivable hill land, rocky and sandy areas in the ecologically sensitive zone in the entire National Capital Region (NCR) will be treated as part of the mountain range. This means non-forest activities can't be carried out in the area. World's largest private equity manager Blackstone Group has set up a fully owned subsidiary, Nexus Malls, to own and manage shopping centres in India. Nexus has already acquired AlphaOne malls in Ahmedabad and Amritsar having a combined 1.3-million-sqft retailing space. Globally, Blackstone owns more than 1,000 malls across US, Europe and Asia Pacific. Indiabulls Housing Finance Ltd claims to have has raised Rs 1,330 crore by issuing its first masala bonds to overseas investors. The three-year tenure rupee-denominated bonds were listed on the Singapore Exchange and attracted close to 70 per cent participation from investors in Asia.